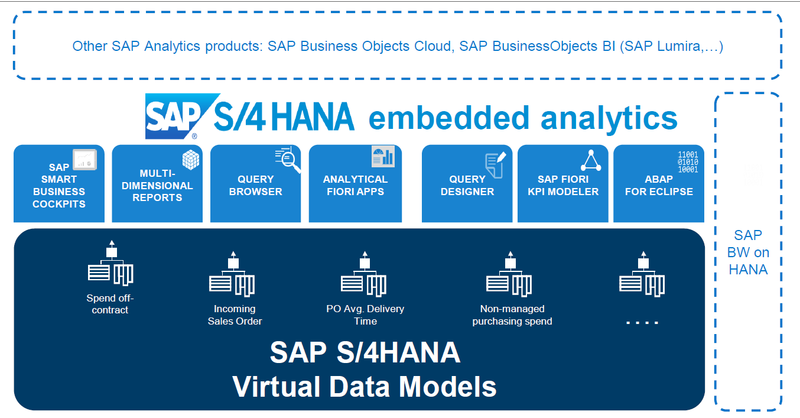 In previous blogs I have touched upon the embedded analytics functionalities in S/4HANA 1610. In fact in some specific topics I have shown you what you can achieve with HANA Live or tools like Analysis for Office. 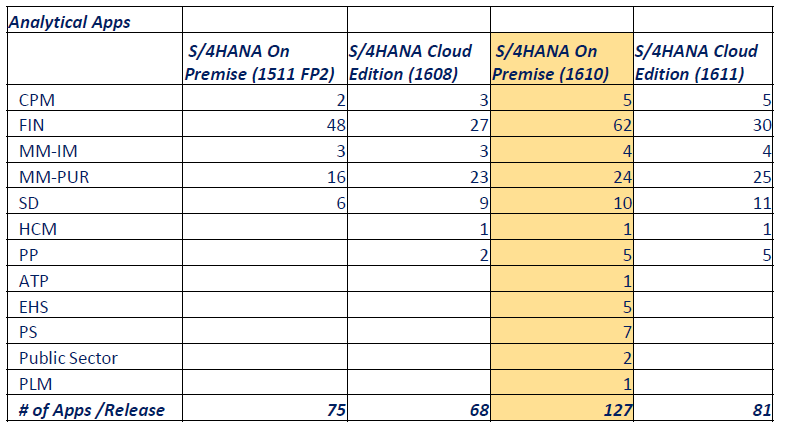 Specifically in the Attributed Profitability Segments blog I did show some reporting possibilities in S/4HANA. In this blog I aim to give a good overview of the purpose and added value of embedded analytics in S/4HANA. After the overview I will post demo videos per analytical tool at the end of this blog. In most of the ERP implementations I see that the reporting requirements and workshops are done at the end of the project. It’s like saving the best for last, but in reality business processes cannot be separated from analytics. At least when we talk about operational reporting. Other major issues I see are system design and configuration which at the end does not match the reporting requirements. The system is not designed and configured with the desired output (reports) in mind and you will only find this out during the analytics/reporting workshop which are planned at the end of the project. With the rich analytics content which comes out of the box with S/4HANA this can be improved significantly when it comes to operational reporting. Reports and dashboard do make more sense for users when it’s visualized in a user friendly interface like Fiori. With embedded analytics in S/4HANA SAP makes a huge step forwards in the integration of the transactional and analytical world. To explain this principles further. With consistent user experience we main to say that even applications with different use cases should work the same way for e.g. filtering, printing, data export, role based access etc. 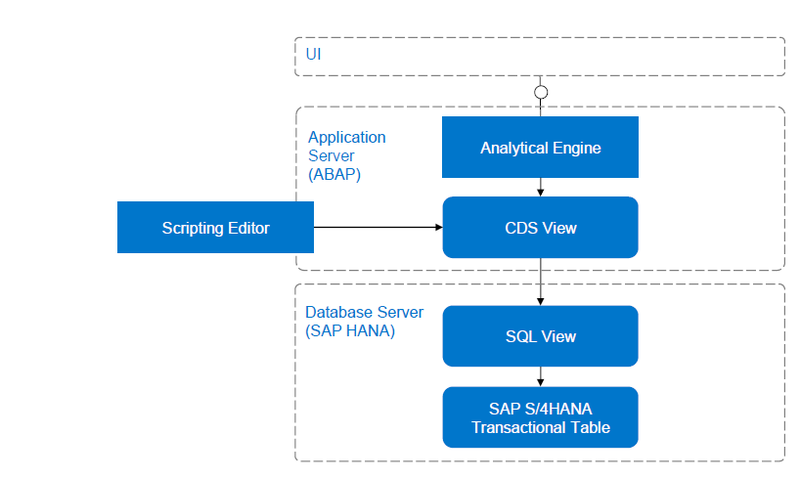 Below you will see a simple representation of the embedded analytics architecture in S/4HANA. In the top layer you see the SAP Analytical offerings which are seamlessly integrated to the business suite. This means that there is no data load or ETL processes. Data can be consumed in real time in of the mentioned SAP analytical tools. As mentioned before, in this blog I will give examples of both out of the box reporting possibilities (Smart Business, Fiori etc.) and tools from the SAP BO suite (Lumira, Excel). With the implementation of embedded analytics we mean “really” embedded into the transactional work and the daily processes. Today most often transactions and analytics are handled separately, but in reality business processes are a sequence of transactions, analytics, transactions etc. As you can see in the picture below in the architecture everything starts with the physical tables in the database. These are the old fashioned tables like VBRK, VBAP, EKPO, EKKO etc. On top of that there are Virtual Data Models (VDM’s) built in the Application layer. SAP deploys standard VDM’s out of the box, these can be enriched by customer built specific views. SAP blends transactions and analytics allowing operational reporting on live data. In S/4HANA this concept is supported with Core Data Services (CDS) for real time operational reporting. The content is represented as VDM’s which is based on transactional and master data tables in S/4HANA. The development of custom views is more often a technical task for developers. However in the application layer there is room for Power/Key users to create own Queries and KPI’s. This is done with the help of the KPI Modeller framework and Self-Service Query Designer. At the top we see the different user interfaces which can consume the VDM’s. the user interface communicates with the application layer through oData Services. The most obvious and out of the box available user interface is Fiori. Next to that we have the other SAP Analytical offerings in the Business Objects suite (Lumira, Excel, Design Studio, etc.). Even 3rd party user interfaces can consume the virtual data models from the SAP application server. Perhaps some of you have already hands-on experience with HANA live views in the world of Suite on HANA or Simple Finance. I have worked with Live views a lot. In S/4HANA HANA Live Views are still supported, but CDS views are the way forward. There will be no investment in live views from SAP in S/4HANA and everything is built around CDS views. Let me try to explain some differences between these two and let me try to point out the advantages of CDS views. Because HANA Live Views have a couple of major disadvantages. Especially the last two are huge benefits. Authorizations and hierarchies are a pain in the neck in HANA Live. I learned this the hard way. In the below overview you can see the analytical tools available for the type of users. Like in the architecture picture, we start at the bottom where we have the CDS views which are built on top of the database tables. Some additional information about the availability of analytical apps per release and module. Now let’s have a look at examples per analytical tooling. I have recorded some demo videos per tool. You can find the links to YouTube below. The number of demo videos will grow in the future so keep checking my YouTube channel and this blog. In my blog The SAP GUI menu is back in Fiori 2.0 I explained how to add GUI transaction in the Fiori Launchpad. You can watch a demo of this functionality. It’s nice to see that the SPRO menu can be used as well. Hi Ugur, great blog! Very interesting and informative. I have a question. Have SAP published the list of 127 Analytical apps available in the 1610 version? If yes, can you please share the link where i can find it? You can look in the Fiori Reference Library. This library is always up to date and will give you all the relevant information regarding Fiori apps. Thanks for this. I have a question that I am struggling to get a concrete answer for – Is the integration between S4HANA and Lumira one way or two way? i.e. Can you access pre-built Lumira reports using FIORI apps as well as create Lumira reports on CDS views? Hi Aparna, it depends on if you’re using Lumira desktop or Lumira server. With Lumira server you have the possibility to integrate with Fiori launchpad and to launch Fiori stories from the Launchpad. Lumira desktop is to create stories and reports based on CDS or HANA views. With Lumira 2.0 things changed. Design studio and Lumira are now merged for example. Meaning that building applications and dashboards will be simpler. Thanks for the response, Ugur. We are using Lumira Desktop and that is exactly what we are trying to do – “create stories and reports based on CDS or HANA views”. So thanks for confirming. What do you mean by ‘Design Studio and Lumira have now merged’? I understand that Design Studio is now (sort of) merged with FIORI in the sense that it can be accessed via Query Browser App in FIORI. But my understanding is that Lumira still exists as an independent tool? The Content is so good.I have a question .One of our client is implemnting S/4 HANA 1610 Version.I would like to know how can achieve the historical reporitng with S/4 HANA?.Please provide me some guidance. Thank you Krish. What do you exactly mean with historical reporting? Do you need to have snapshots of data periodically? Then you will need a BW solutions. Or do you mean reporting on your legacy data when you say historical? Great info , could you shed some light on FPM WebDynpro Apps and how can they be extended. Can you please share information on SAP S4 HANA Procurement and Sourcing, also Warehouse management. I hope it is really useful. Hi Ugur, nice blog, Thanks for share. I understand that recommended flow is: transaction table -> SQL view -> CDS views -> Analytics. My question is, the SQL view (in database) refer to HANA view (analytic, calc, attr) and then consuming it in a CDS? Great information to me, can I get or how can we get the list of all Embedded Analytics Apps from fioriappslibrary. Thanks for sharing useful resources. Analytics represent useful data in managing and making products. 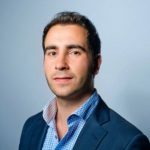 Hi Ugur, quick question about report naming convention. these first letters C_ or I_ or P_ – what is the meaning of these? Thanks a lot for this article, very useful.